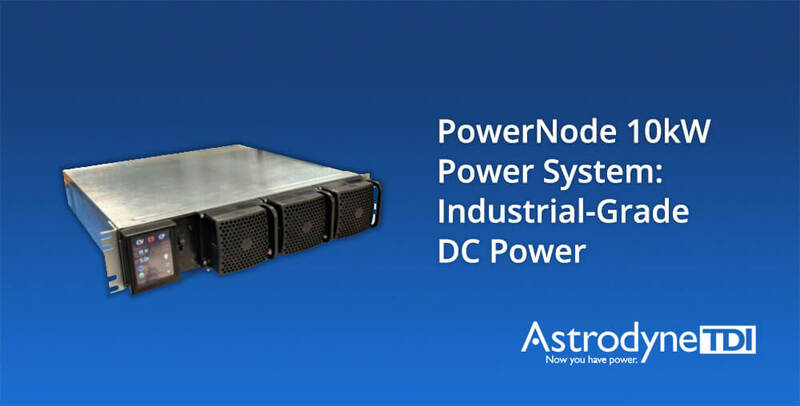 Industrial Grade DC Power with Astrodyne's TDI's PowerNode 10kW Power System » HHP Associates, Inc.
Astrodyne TDI’s PowerNode 10kW Power System provides industrial grade DC power for process power, semiconductor manufacturing, medical imaging, test and burn in, and other applications. Astrodyne TDI is an international leader in the design and manufacture of standard and custom EMI/EMC/RFI Filters. Astrodyne designs and manufactures innovative power solutions for demanding applications worldwide. The company’s products include power supplies and EMI filters for industrial, semiconductor manufacturing, medical, consumer appliance, military, aerospace, and many varied markets. Their EMI filter solutions are applicable to any consumer, industrial or military application such as exercise/fitness equipment, consumer appliances, test and measurement equipment, telecommunication systems, elevators, renewable energy inverters and many military/aerospace designs.